Your heart beats, for another day, I still believe you love me, but in a different way. Five miles south of downtown Seattle is the neighborhood of Columbia City—a leafy stretch of old brownstones and new condos which, according to local legend and loosely interpreted census data, boasts the most diverse zip code in America. Not far from Columbia City's main drag, amidst a swirl of languages and colors and food and accents, sits a 100-year-old, two-story house that's home to the world-weary, seven-piece orchestral-pop ensemble known as Hey Marseilles. 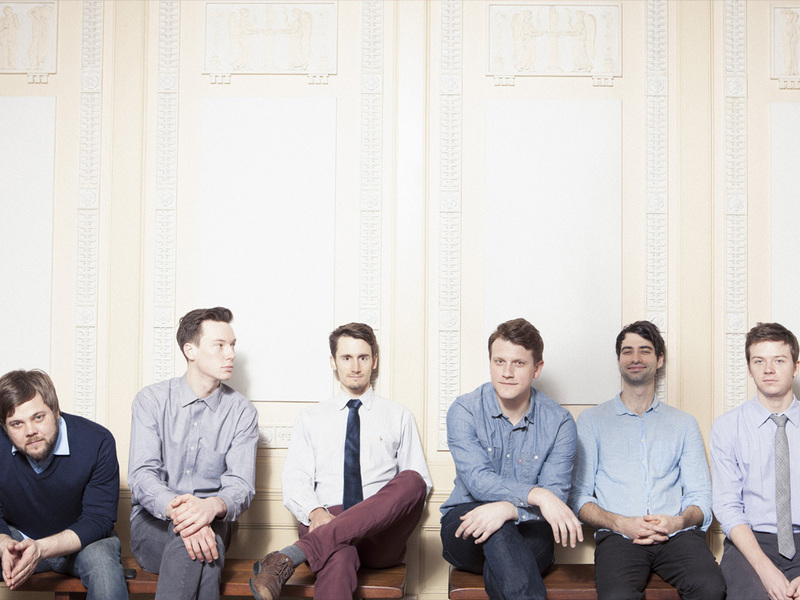 World-weary in spirit if not in practice: Hey Marseilles first won hearts across the US with its 2010 debut, To Travels and Trunks, an album that reveled in the education and inspiration only globe-trotting exploration can provide. With Matt Bishop's lyrical wayfaring abutting an instrumental palette that embraced folk tradition—accordion, strings, and horns; gypsy, Gallic, and classical—To Travels and Trunks gave musical voice to the universal longing for unfettered freedom. NPR called the record "sublime and heartfelt." A lot has changed in the world since 2010—that house in Columbia City, for instance. The vacillations of the economy allowed Hey Marseilles violist Jacob Anderson to acquire it in 2011; he and his younger brother, cellist and producer Sam Anderson, helped renovate it. Since then, most of the band has lived in it, and the entirety of their new album was written and recorded in it. Not surprisingly, Lines We Trace is not about going out and searching. It's about finding you’re already where you need to be. Make your way back home again, Bishop sings on the dusky ballad "Café Lights." I am here still. Throughout, Philip Kobernik’s accordion is less pronounced than previously, Nick Ward’s guitar more so. The result is less old-world, more new school. An update. A progression. A musical analog to a line Bishop sings in "Looking Back": If you’re looking back that’s all you’ll ever see. Six years after Bishop first got together with Kobernik and Ward to jam at Seattle's Gasworks Park, Hey Marseilles is an experienced band with a slew of major festivals (Bumbershoot, Sasquatch!) and a national tour under its belt. They've come a long way—only to find themselves back home. Put another way, as Lines We Trace suggests, sometimes you don’t have to go far to find a meaningful experience. Sometimes the comfort of the familiar is all you need to grow.